TALLAHASSEE, Fla. – The NFL is back and, as usual, Florida State is well represented across the league. Including practice-squad players, there are 42 former Seminoles on NFL rosters. A record-breaking night by Dalvin Cook in his NFL debut, as well as a highlight-reel touchdown from Chris Thompson and a 29-yard interception return for a touchdown by Lamarcus Joyner, topped the standout performances from the weekend. Running back Devonta Freeman found the end zone for the Atlanta Falcons, too. Chiefs: OL Cam Erving did not play. 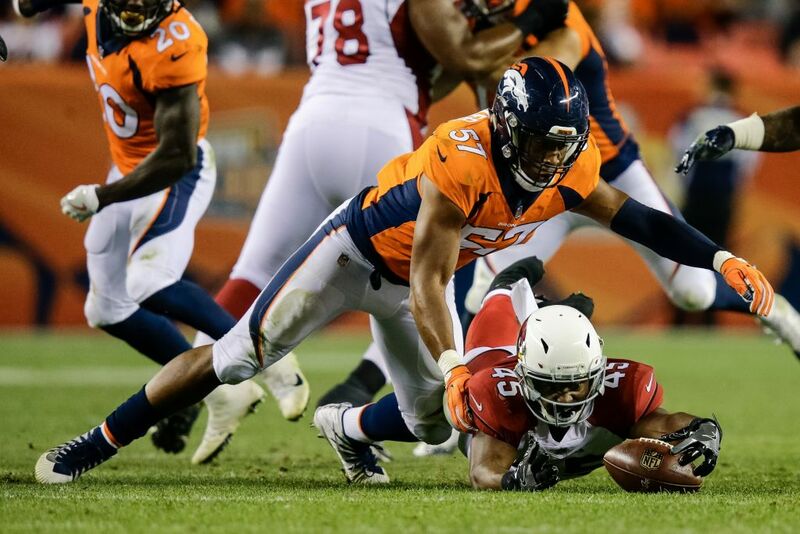 LB Terrance Smith made one tackle on special teams, but the play was nullified by a penalty on an opposing player. LB Ukeme Eligwe made one tackle on special teams. Bills: TE Nick O’Leary started and made one catch for 22 yards. Jets: S Terrence Brooks started and made two tackles. TE Will Tye caught three passes for 34 yards. Falcons: RB Devonta Freeman started and carried 12 times for 37 yards and one touchdown. He also added two receptions for two yards. Bears: NT Eddie Goldman started and made one tackle and one QB hurry. LB Christian Jones made one tackle on special teams. Steelers: LB Vince Williams started and made four tackles. Browns: OL Roderick Johnson did not play. Jaguars: LB Telvin Smith started and made two tackle. CB Jalen Ramsey started and made two tackles. Raiders: DE Mario Edwards started, made three tackles and was credited with half a sack. C Rodney Hudson started at center. QB EJ Manuel did not play. K Sebastian Janikowski is on injured reserve. Eagles: LB Nigel Bradham started and made four tackles. DT Timmy Jernigan started and made six tackles and a sack. CB Patrick Robinson made four tackles. CB Ronald Darby started and made one tackle before leaving the game with an ankle injury. Redskins: RB Chris Thompson carried three times for four yards and caught four passes for 52 yards, including a 29-yard touchdown. K Dustin Hopkins was 1 for 1 on field goals (33) and 2 for 2 on extra points. 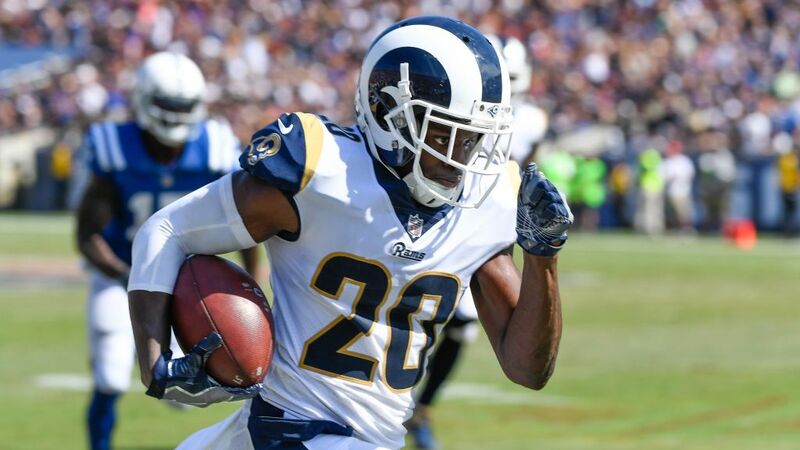 Rams: FS Lamarcus Joyner started, made four tackles, defended two passes and returned an interception 29 yards for a touchdown. Panthers: WR Kelvin Benjamin started and caught one pass for 25 yards. K Graham Gano was 3 for 3 on field goals (39, 36, 20 yards) and 2 for 2 on extra points. 49ers: DE Tank Carradine started and made two tackles. LB Dekoda Watson made two tackles. Giants: RT Bobby Hart started. WR Travis Rudolph is on the practice squad. Vikings: CB Xavier Rhodes started and made four tackles. RB Dalvin Cook started and carried 22 times for 127 yards to break the Vikings’ rookie rushing record previously held by Adrian Peterson. He also added three catches for 10 yards. Saints: CB P.J. Williams started and made eight tackles in his return to the lineup after missing most of the 2016 season with an injury. Denver 24, Losa Angeles Chargers 21, 10:20 p.m.
Broncos: RT Menelik Watson started and made one tackle after a turnover. DE DeMarcus Walker played as a reserve.